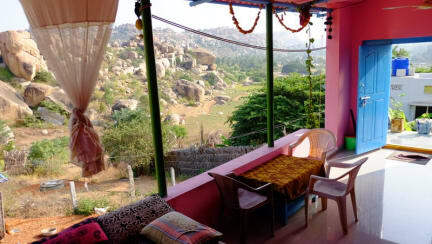 Murali Homestay Hampi is open to guests with a variety of rooms offer around the Hampi area, We have around 10 properties around Hampi, The Home-stay can also arrange a rickshaw service from the boat point. We also pick up from Hospet by a car It is with additional cost. The Homestay owners are a very laid back family, but also take pleasure in offering a great service to the guests. They also offer laundry services, Homemade food, hot water, and motorbike hire. 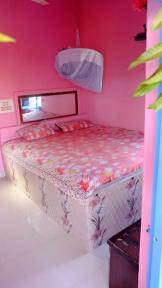 All rooms have fan and mosquito nets. 4. At least one-week advance notice for free cancellation.